The temperature outside is still in the 90’s, yet here at Century 21 M&M we are already thinking about winter and the Coats for Kids Drive that starts the end of October and ends early in December. For the past three years Century 21 M&M has been a major sponsor of this non-profit drive that benefits children in Northern California by providing warm coats for them during the coldest part of the year. Currently, and till the end of September, Century 21 M&M is selling 500 Raffle tickets. Each raffle ticket is valued at $50.00 with a chance to win prizes all valued over $100.00! Prizes include iPads, Vacation Getaways, Kindles, Gas Cards and More. There will be 21 Prizes in all! This a great opportunity to win some great prizes while benefiting a very good cause and the purchase of these raffle tickets is tax deductible! NOTE: You may contact Doug Wheeland at dwheeland@c21mm.com or Jesse Gibbs at jessegibbs@c21mm.com for more information. Some of us have already started collecting both the new and used coats that will be distributed to families in need in our local communities. And, some of us are planning on eating our way towards supporting the Coats for Kids drive. 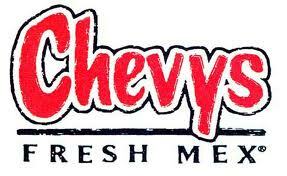 On Thursday September 22, 2011, between 4pm – 10pm, Century 21 M&M will partner with Chevys Fresh Mex at 1700 Standiford Avenue, Modesto, CA for a Fundraising Event. Come dine with us, bring your friends and family and Chevys will donate 25% of the proceeds to the 2011 Coats for Kids drive. Coats for Kids is one of the many ways that M&M Cares Foundation gives back to the communities that support our Realtors in their businesses.